On June 25 and 26 White Dragon Judo Club held a judo clinic featuring two time Olympian Leo White. Leo White is one of the winningest judokas in US Judo history. He is currently on the coaching staff for the US Judo national team. This event was one most technical and exciting events of the year. 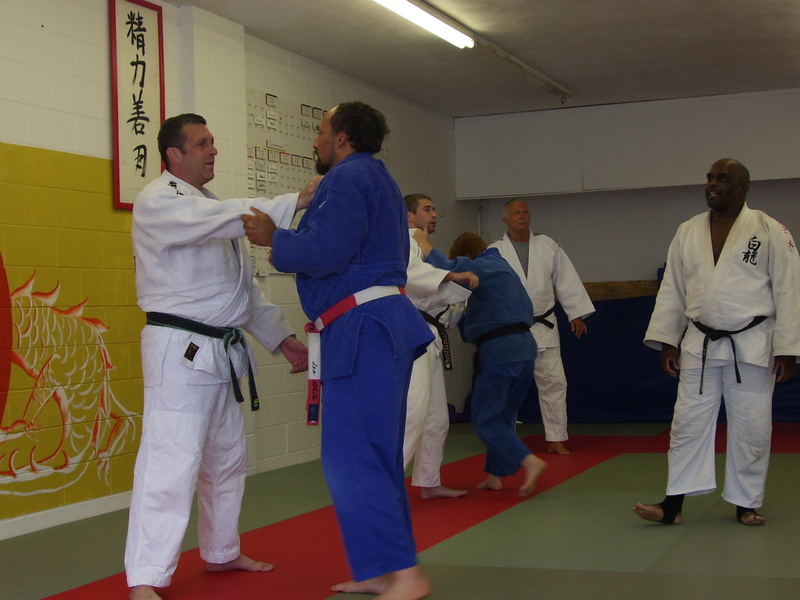 There was a wide turnout of judokas and jiujitsukas from all over the midwestern region. The clinic was long, highly technical and worth it. “Have an open mind.” as Sensei White would often say. Sensei White showed techniques that are not usually practiced at the local judoka level but used at the world class judoka level. The techniques that he demonstrated were the ones that made him the best American judoka in his era. At first the techniques seem difficult to master but with practice and repetition his concepts became easier to understand. Throughout the whole clinic judokas young and old fed on the charisma and down to earth simplistic nature of this world class judoka. 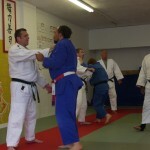 Day 1 Sensei White showed a series of kumi kata and tachi waza. These series of techniques showed his theory of control of his oppenent. He demonstrated his theory of off balance through his tachi waza. Day 2 was the ne waza portion of the clinic. He showed simplistic turnovers and pins. The highlight of this technical session was his display of submission grappling. Overall, this was a clinic of a lifetime. It is not often that you get a world class Olympic judoka to come and teach in this region. Stay tuned to the website for there will be more events like this one posted. White Dragon Judo Club held their 3rd annual Friendship Tournament. This tournament was set out to promote friendship and goodwill. Many spectators who never seen a judo tournament actually got see how one is conducted. This year more judo clubs from around the state of Missouri and Illinois were invited to this exciting event. This tournament saw the rising stars of the junior division display skills that can not be taught by a judo coach. The youngsters got an opportunity to test their technical skills against judo players they don’t usually see at every practice. For some young judokas it was the first of many judo tournaments of their young judo careers. For others it was another tournament to grow from. The seniors and master’s judo divisions saw the emergence of new rivalries and technical development. These judokas set the standard on how hard work and preserverance produces victories and an increased technical competence of the sport of Judo. Lastly, this tournament displayed the exhibition of goodwill and good sportsmanship which will have an impact on our judokas not just on the mat but off the mat. Next year we hope the tournament will be even bigger and better. Thank you to our supporters who help make this event possible.